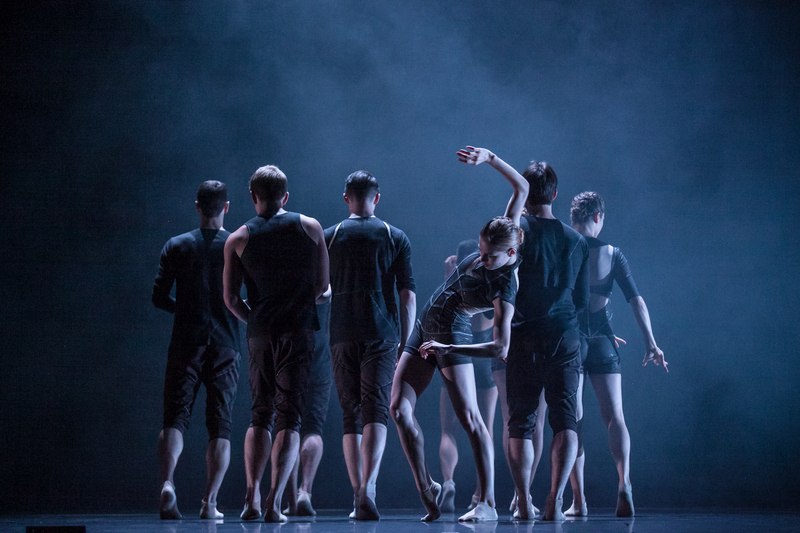 Hubbard Street Dance Chicago in Robyn Mineko Williams' "Fluence". Photo by Quinn B Wharton. This Thursday, Hubbard Street Dance Chicago presents its Fall Series at the Harris Theater. Opening this Thursday and running through Sunday, the program features two returning works from master choreographers Mats Ek and Ohad Naharin, plus the world premiere of Alejandro Cerrudo’s Cloudless and the Chicago premiere of Robyn Mineko Williams’ new work Fluence, which premiered last month in Minneapolis, MN. Hubbard Street Dance Chicago’s Fall Series at the Harris Theater, 205 E. Randolph St., Thursday-Sunday, Oct 10-13. Performance times vary. Tickets are $25-$99; call 312.850.9744 or visit hubbardstreetdance.com/fall. This entry was posted in Alejandro Cerrudo, arts, contemporary, culture, Glenn Edgerton, Harris Theater, Harris Theater for Music and Dance, HSDC, Hubbard St, Hubbard Street Dance Chicago, Inspiration, Mats Ek, Ohad Naharin, Preview, Princess Grace Award, Quinn B Wharton, Quinn Wharton, Robyn Mineko Williams by Vicki. Bookmark the permalink.